That’s a question that lots of companies try to answer day after day. Some of them found the answer for their company, but that answer can’t be used to answer this question in general. That’s because this answer is different for every single company in the whole wide world. The better question for you to ask is, how do we create our own meaningful marketing story? The answer to this question can be found by reading this inspiring infographic by Copyblogger Media designer Lauren Mancke. 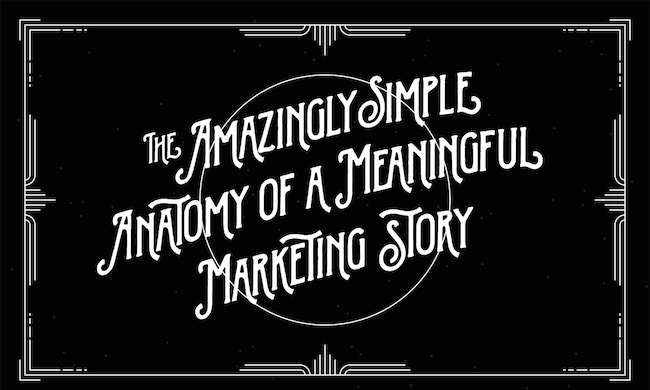 Don’t wait to learn about “The Amazingly Simple Anatomy of a Meaningful Marketing Story”! Get inspired!